It should be inherently obvious to anyone familiar with the relationship between energy balance and body weight that to lose the absolute most amount of fat mass over a given time frame would mean creating the absolute largest energy deficit possible. But equally as obvious, is that creating the largest energy deficit possible (i.e. starvation + high activity) is neither practical nor is it desirable if we plan on holding onto muscle mass and remaining healthy. So rather, we are essentially asking how can we strike the balance between dieting aggressively enough to decrease fat mass at the maximum rate and on the other hand not dieting so aggressively that we catabolize lean tissue and lose muscle mass over the duration of the diet. Individual variables like training status, muscle mass, genetics, nutrient timing, supplementation, etc. 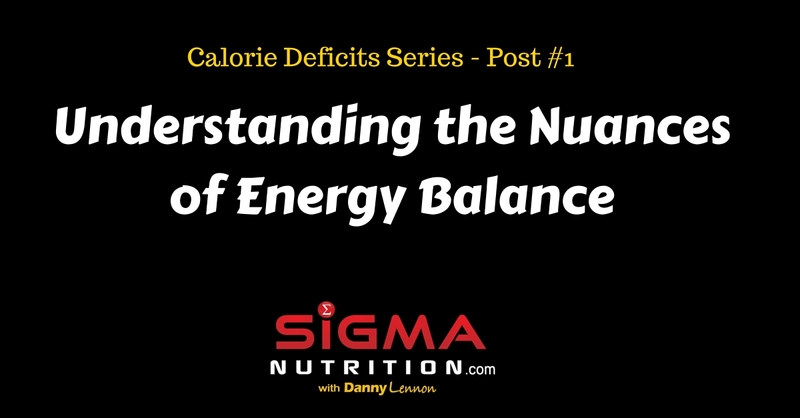 So this will be the first article in a series focusing on caloric deficits and related issues. In this article we’re going to set the scene with some important background info before we get into the weeds of answering this question. In the follow-up articles in this series I will focus in on those 5 points above. Including how big of deficit you can “get away with” before massively compromising lean body mass and rates of change in body weight and fat mass. 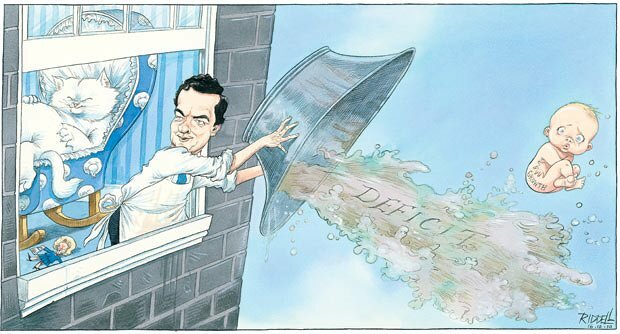 As well as addressing some of the remaining variables such as differences in the method of creating the deficit (food restriction vs. exercise-induced deficit). And in most practical settings this thinking generally holds true. In so far as, with properly structured training and diet, a sustained caloric surplus will create a good environment for muscle growth. And similarly, a sustained caloric deficit over time will lead to a decrease in fat mass. However, energy balance does not perfectly describe changes in actual body tissues. The imbalance between energy in and energy out is the amount of energy stored in, or released from, the body. That is all the energy balance equation tells us. Nothing more, nothing less. It’s not an exact predictor of changes in body fat, muscle mass or even body weight. It simply describes how much energy will be stored (in some form) or released from the system. Let’s use a clear example of a contradiction to the inaccurate equating of energy balance with body mass. When working with our MMA fighters, in the lead up to the weigh-in they will go through a host of dietary changes on fight week in order to allow them to make weight. These include water manipulation, sodium manipulation, carbohydrate restriction, decrease in fibre intake, switching to liquid based meals, etc. The switch in diet over that week leads to a drastic decrease in body mass (several kilos) without any energy deficit being present. Hence, a caloric deficit is not required for weight loss. However, let’s not throw the baby out with the bathwater here. This doesn’t mean a caloric deficit or surplus isn’t useful in changing body composition. In fact it’s still the primary tool at our disposal when it comes to maxmizing the rate of either fat loss or gain in lean body mass. But just be aware of the nuances and caveats to this. Also remember that body fat is just one way that we store excess energy. When we create a shortfall in energy, that deficit will be made up for by metabolizing not only body fat, but glycogen and bodily proteins as well (Hall, 2008). So in relation to body fat loss, we want to know what the fat balance is; the difference in fat being stored in adipocytes (fat cells) versus fat being released and oxidized. On a given day, regardless of whether you are in a calorie surplus/deficit/balance, the processes of storing and releasing fat from fat cells will be continually running in cycles throughout the day. These processes just happen in different proportions at different times, depending on the timing of meals, exercise, fasting, etc. “Take one snapshot in time. You may be actively storing fat away in fat cells at that point. A typical instance would be after a meal. You take in food, it’s broken down into it’s basic components and you now have a huge availability of substrates that can be used for many processes, including energy production. BUT (and this is the point SO many people miss) just because we store this energy as fat right now, does not mean we are going to put on body fat in the longer term. So fat gain is determined by the NET EFFECT over a prolonged period of these continual fat storing and fat releasing cycles (see diagram below). Despite a negative energy imbalance not being an exact descriptor of loss in body fat per se, if over a long period of time we have a net negative energy imbalance, then we can assume in most scenarios it is likely there will be a loss of fat tissue. And, as we’ll discuss later, if resistance training and a high-protein diet are used in conjuction with the hypocaloric diet, the majority of total weight loss is likely to come from fat mass. Many other variables will influence the proportion of weight lost as body fat. In the articles that follow in this series we will look at these. Consider that energy expenditure is dynamic and responds to energy intake. When you purposefully change energy intake, there will be an impact on energy expenditure. When you overeat on a certain day, your body makes attempts to negate the surplus. Our bodies will attempt to keep energy under homeostatic control. An energy thermostat, as Stephan Guyenet might say. These are all carried out with the goal of matching energy output to expenditure. Similarly, when we undereat the opposite happens. There is huge inter-individual variation in the extent of these adaptations. Which goes a long way to explaining how body composition change can be drastically different between similar individuals despite what, on paper, may look like the same energy deficit/surplus. When some people decrease food intake they have a very strong adaptive response and compensate for the decrease in energy intake by massively suppressing energy expenditure through predominantly decreasing NEAT. Now of course you may rightly ask how is it possible to become overweight/obese if our body simply increases expenditure to match increased intake? It’s simply a case of the adaptation in expenditure being unable to get high enough to match the increased caloric intake. When you eat in a large enough surplus you can reach a point where these adaptations can’t match the degree of the surplus and thus the excess energy is stored (whether that be as glycogen, fat, lean tissue, etc.). But those adaptations are happening. In line with the idea of energy homeostasis, we should touch on weight maintenance. A full discussion of concepts like set-point theory (or probably more accurately a settling range) is beyond the scope of this article. For the interested reader I’d point you to this paper by Speakman and colleagues. When we are maintain body weight/composition over a long period, it’s not a matter of every single day our bodies match our expenditure exactly to the calorie with the energy we’ve ingested. But rather over an intermediate-longer period things essentially “average-out”. Energy balance is kept within a homeostatic range and body composition and fat stores are kept consistent. This is essentially how many people can maintain a very consistent body weight over months and even years without ever tracking food intake or attempting to diet. Their in-built regulatory mechanisms are simply working as they should. Hence why either losing fat or building muscle takes consistent conscious effort in how you structure your eating and training. It doesn’t spontaneously happen. You need to do something that your body does not want; Your body does not want to be in a chronic energy surplus or deficit, hence why your expenditure adapts in either case. We will do so in our upcoming articles. So let’s leave with a brief summary to bear in mind when considering the points that will arise in the next few articles. Energy balance is not an exact predictor of changes in body fat, muscle mass or even body weight. It simply describes how much energy will be stored (in some form) or released from the system. However, energy balance is still the primary tool at our disposal when it comes to maxmizing the rate of either loss of fat mass or gain in lean body mass. Regardless of whether you are in a calorie surplus/deficit/balance, the processes of storing and releasing fat from fat cells will be continually running in cycles throughout the day. Fat storage or release from a cell, or even fat oxidation for that matter, should not be considered at one snapshot in time. Fat gain is determined by the NET EFFECT over a prolonged period of the continual fat storing and fat releasing cycles. For all intents and purposes, if over a long period of time we have a net negative energy imbalance, then we can assume in most scenarios it is likely there will be a loss of fat tissue. Energy expenditure is dynamic and responds to energy intake. When you purposefully change energy intake, there will be an impact on energy expenditure.